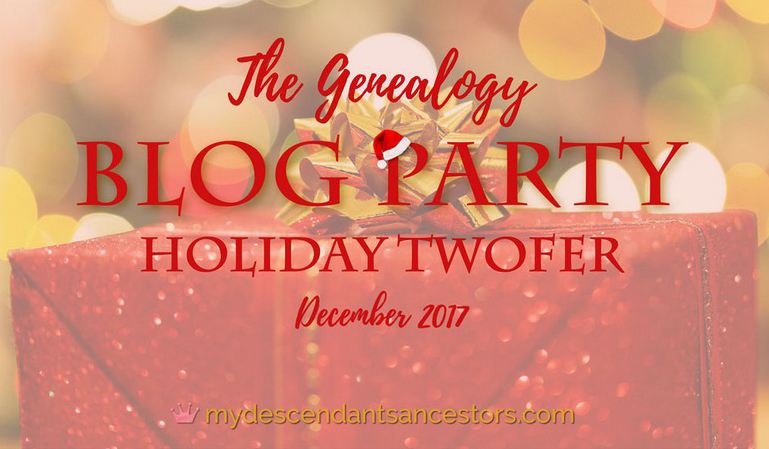 Elizabeth O'Neal of My Descendants' Ancestors suggested writing about your best genealogy find during the year for her December Genealogy Blog Party. I've had a rather unsettled year, what with selling my house in Oakland, moving 600 miles to a different state, and still being surrounded by far too many moving boxes. So I haven't had a lot of time to work on my own family research. But this summer I did manage to connect with a cousin on my paternal grandmother's side of the family. Surprisingly (for me), I was looking at my DNA matches on Ancestry.com and found a close match with a family tree with names I recognized. According to the tree, the woman appeared to be a daughter of my grandmother's sister, but the ages didn't seem to match up right based on the records I was able to find easily. I sent a message anyway, and it turns out she's actually my grand-aunt's granddaughter, not daughter. She shared more information about her side of the family, and I discovered that a lot of what I had been told previously wasn't quite accurate. Based on what she sent I was able to find a lot more records and add substantially to my database. And I even found several photographs of cousins on that side! 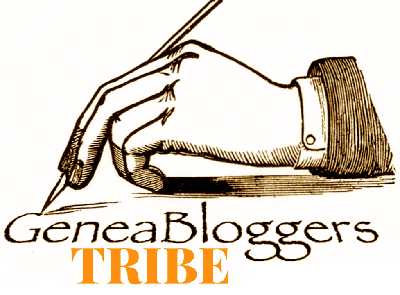 I'm looking forward to sharing my discoveries with my newfound cousin (when she answers my e-mail message!). Congrats on your DNA-fueled discovery, including new photos! Happy new year in your new home. New photos are always a great thing! The new year has started off well. Your best find was similar to my mtDNA find. Isn't it fun? Great story. I love connecting to new cousins. Funny how family stories get twisted as they move through the generations. The information I had on this branch certainly had more errors than I am used to. I wondered a little whether someone had deliberately given me bad information, but at least I'm getting the correct info now. It's always fun to find new relatives on Ancestry! And it's so cool that she was able and willing to correspond! At least at first! I hope I didn't wait to long to send her another message! Thanks, Andrea. Any progress is good! Connecting with others is the way to go. Someone found an Italian marriage record for my grandmother's parents - Italian record are filled with great information: ages, professions, parent's names, and where they lived. What a beautiful Christmas gift. What a lovely gift indeed. I'm glad that someone was able to share it with you.